This is the best bear trip in Alaska. Simply because we have a float plane so we can fly into the highest density bear locations in the world. We will go to where the best action is. We can even visit multiple locations for different backgrounds and behaviors. This tour is scheduled at the peak time of year for bears fishing. Expect to take thousands of bear images. This workshop is led by professional nature photographer John Slonina who has been leading tours there for several years. This is a trip of a lifetime. I live in Wyoming. Anyone who has visited the state knows it has a lot of open space. What many people don’t realize is that the area in which I live – the northwest part of Wyoming – is almost always drier and more temperate than that to the south. So when I finished several days of meetings in Casper a couple years ago, I was anxious to make the 5-hour drive home to my own bed despite the dire warnings of an incoming snow storm. I knew that if I could make it the hundred miles across the sagebrush plains and then north through Wind River Canyon, I would probably leave the worst of the winter weather behind me. Before leaving the city, I consciously packed my camera gear in the back of the car, not wanting the temptation to stop along the way. 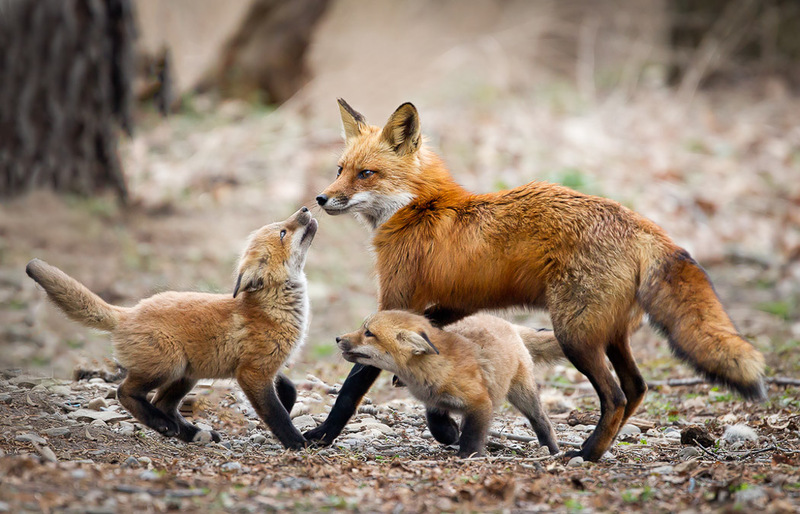 This past spring, in upstate New York, I had the opportunity to photograph a family of wild Red Foxes at their den. The den was located under a shed in a suburban backyard, and the homeowners granted me permission to set up my pop-up blind in their yard, about 50 yards from the shed. Though they knew full well that I was in the blind, this fox family seemed pretty accustomed to human presence, and they went about their lives without appearing disturbed by me. This is of paramount importance to me when I photograph a wild animal, as I seek to capture behavior that’s as natural as possible, and I never want to disturb or endanger my subjects. Over the course of about a month, I traveled to my set up whenever I had a free moment, spending hours in my blind; I always left wishing I could stay longer. I was fascinated by the relationship dynamics among the family members, and enthralled by the playfulness of the kits. I counted 6 kits at first, guessing they were roughly 2 months old. I was struck by how much they acted like puppies, which is no surprise, as foxes are members of the Canidae family. The kits roughhoused constantly, rolling and tumbling over each other. As time went on, their playfulness had an edge of ferocity, and their interactions became more adversarial. They honed their hunting skills by stalking one another around the tree trunks and shed corners, and familiarized themselves with prey by proudly carrying around the bodies of star-nosed moles and squirrels that their parents had brought back for them. 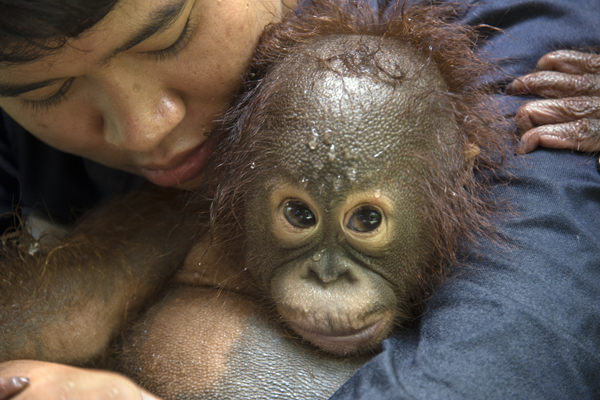 For years I have specialized in documenting the family lives of endangered species. This work has taken me around the globe, spending long hours with wild animal families for weeks, months or even years at a time. In all of my projects I try to incorporate the conservation issues that surround my subject or the latest research presenting fascinating discoveries about that animal and its environment.